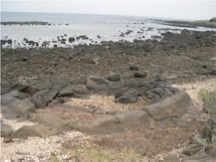 Many millions of years ago, Williamstown was alive with volcanic activity. Lava flowed from the vents of hundreds of surrounding volcanoes into Port Phillip Bay. As lava flowed to the shoreline, gases in the lava built up and created a large bubble. This formation is extremely rare and has fascinated geologists the world over. Victoria’s basalt plains form one of the largest lave plains in the world. They called the Williamstown area Koort-boork-boork. This means a clump of many she-oak trees. 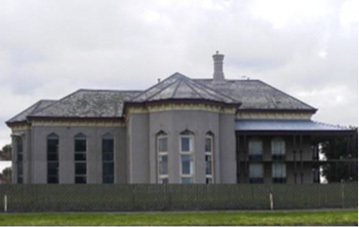 The Sisters of St. Joseph were invited to Williamstown in July 1900 when the FCJ Sisters who had been travelling from Vaucluse Richmond withdrew from the school. In 1927 the Sisters purchased the home “Tulliallan” built by sea captain James Ogilvie. This then came to be known as St. Joseph’s Convent at 16 Esplanade.